For the past two weeks, we’ve been meeting with students from the Faculty of Automatic Control and Computers and Faculty of Mathematics and Computer Science. We’re really pumped up to talk to students about our Cool Summer Internship, the career opportunities and the perks at 4PSA. Internships are a tradition we’re really fond of here, and this is our 8th edition. Students who applied to our internship at the LSAC IT&C Job Fair were in for a surprise. Five lucky winners got vouchers at a hip escape room in Bucharest. Since we’re after individuals with inquisitive minds, great attention to details and a strong interest in finding the best solution to a problem, we figured getting out from an escape room would be a great treat for such characters. A while ago, Vladut shared with you his first week of Cool Summer Internship at 4PSA. Now he’s back with the story of his first task. Things went faster than I expected, because on my second day of internship I was already on a mission. Some call it a task, I call it a mission because the feeling I get here is that everything each of us does, whether as an intern or a senior Clouder, matters just as much. Our series on the 4PSA Cool Summer Internship continues. Last week, David told us about his first task as an intern at 4PSA – building a synchronized file folder for Hubgets. Today, you’ll find out how Andrei, intern in the Backend team, made his first contribution to Hubgets by adding a contact import function to the app. 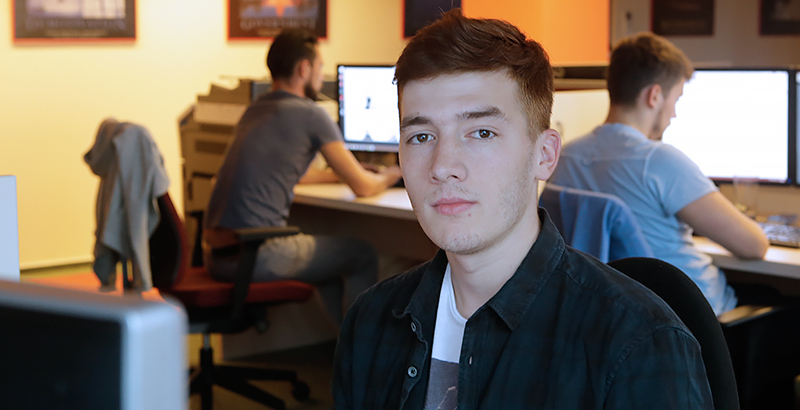 A little while ago, our intern Vladut was telling you in a blogpost about his first week at 4PSA. His article became so popular that we decided to share more of how our interns feel about working and learning at 4PSA. Today, we start a new series about their experiences where you’ll get to take a peek at what 4PSA Cool Summer Internship is all about. David, one of our Apps Core interns, has a couple of things to say about his first task at 4PSA. Yes, I love interviewing interns. I’ve met people who were less than impressed about this fact, claiming that I was losing valuable time because interviewing interns is very straightforward. I strongly disagree, I find it somehow more challenging to discuss with a student than with an experienced senior executive. I’ve learned a lot from these interviews and I will never stop meeting interns before they join our team. This article is dedicated to our interns and comes with hands-on advice that you might find useful before your first day at 4PSA. Alan Kay uttered this quote in a fit of passion at a 1971 meeting of PARC (Palo Alto Research Center), and it’s as true today as it was back then. Here at 4PSA, we strongly agree with this mindset. This is why we make it our business to hire the brightest minds right out of school, nurture them, give them purpose, all while making the world a better place for everyone.